Manufacturing products overseas drastically increases the importance of communication. Time zones and language barriers make design reviews difficult, so it is critical to ensure that all project stakeholders, from design through to manufacturing and assembly, are on the same page. Onshape is the only product development platform that enables teams to work together from anywhere in the world. Real-time design reviews, commenting and simultaneous editing enable a true collaborative workflow and ensure that everybody works on the latest design at all times. Creating a working prototype is the easy part. Addressing feedback to find the final form, fit and function that everyone agrees on requires multiple design iterations in the shortest amount of time. With the rapid pace of technological innovations, it’s no surprise that speed to market usually wins. 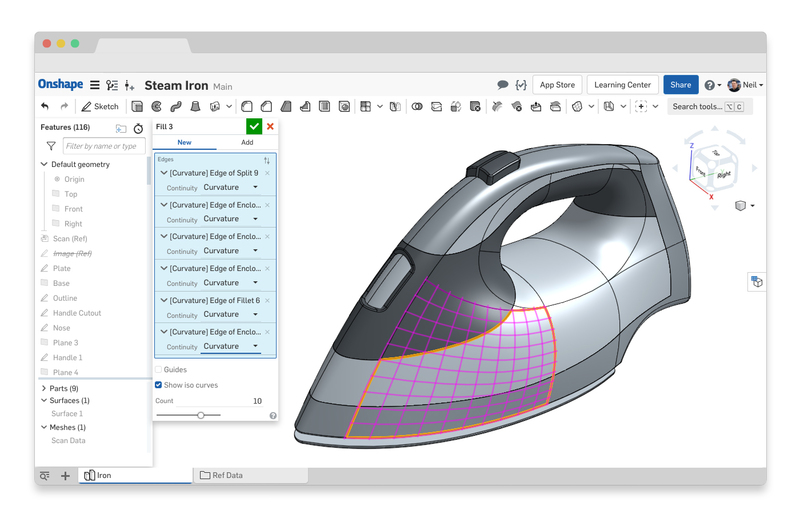 Onshape enables multiple design alternatives to be explored simultaneously. Teams can experiment on the same designs together or independently from one another without affecting each other's work. Each idea can then be shared, reviewed, compared or merged to get the best possible product to market before your competition. Design decisions you make early on and where you choose to manufacture your product have a major impact on your product costs. Ignoring these factors will increase the risk of creating a product that is either too expensive to manufacture or one that will cost much more than what your target customers are willing to pay. Involving manufacturing partners with domain expertise is critical to the success of your product. 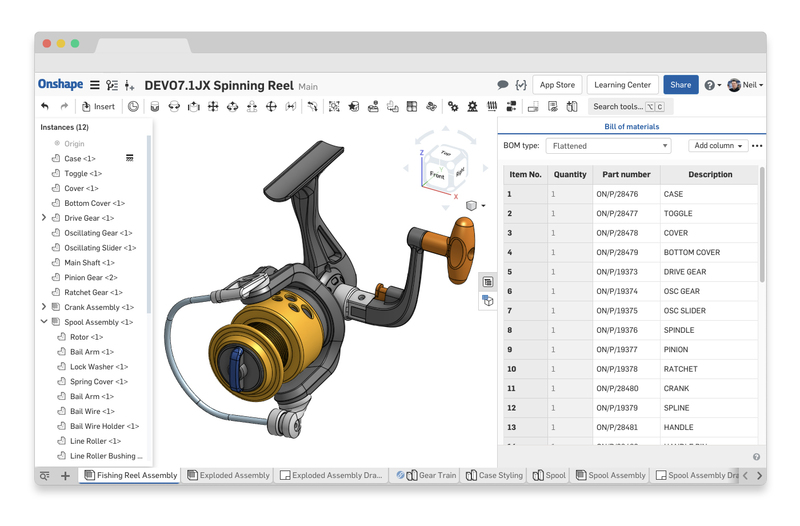 Onshape enables you to securely share product data with external contractors and suppliers and provide the right level of permissions for them to view or edit your designs. Your intellectual property is protected at all times – no data ever leaves Onshape’s servers and data access can be revoked at any time. "Onshape is a huge time-saver. Whether it is making our company twice as efficient or 10 times as efficient, it definitely helps us achieve our goals faster and at a higher level."